Associated Anesthesiologists, P.C. » Johnson, Jessica L.
Home / Johnson, Jessica L. / Employees / Johnson, Jessica L.
Jessica L. Johnson is an Insurance Specialist for Associated Anesthesiologists, PC. She is a native of Fairbury, Nebraska. Jessica completed an Associates of Arts degree from Southeast Community College in May 2014 and then finished a Coding Diploma from Central Community College in May 2017. Jessica then completed a Certified Coding Associate in July 2017. Jessica is married and enjoys her dogs and spending time with her family. 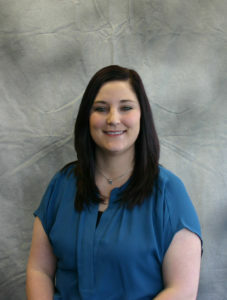 Jessica has been with Associated Anesthesiologists, P.C. since March 15, 2018.